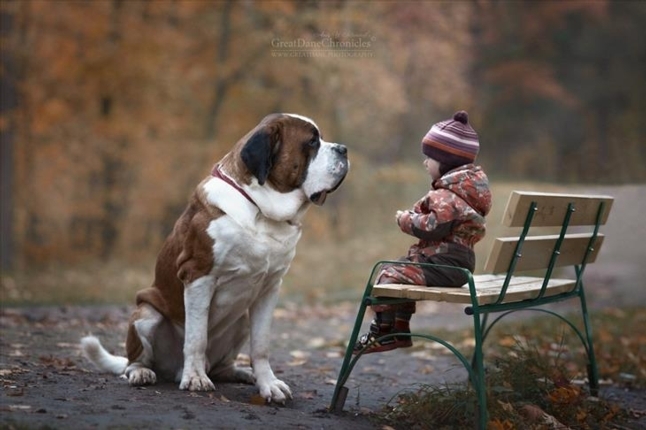 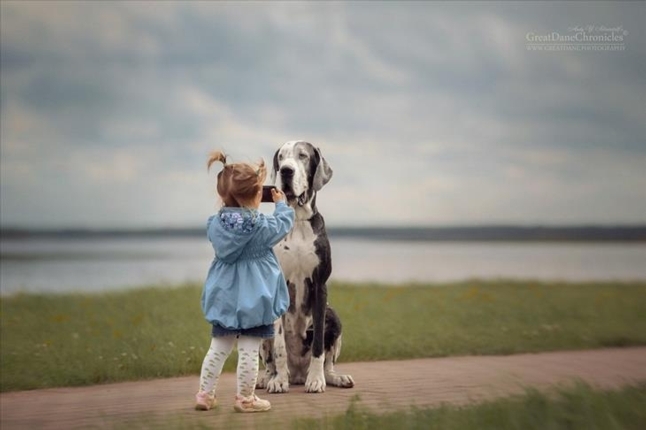 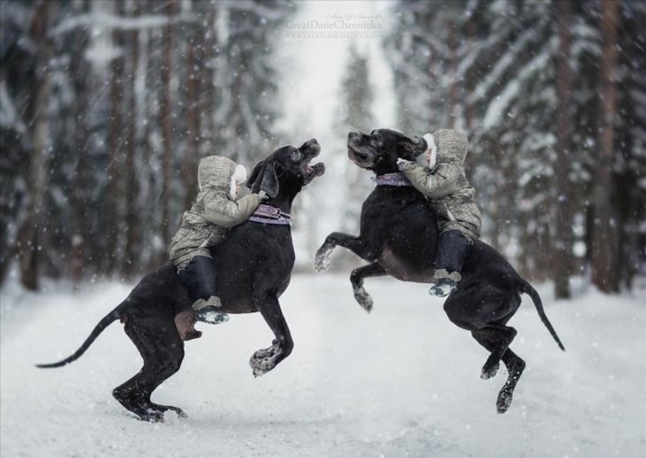 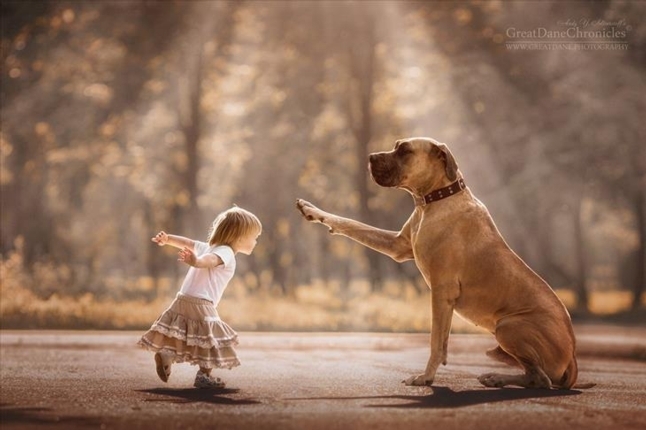 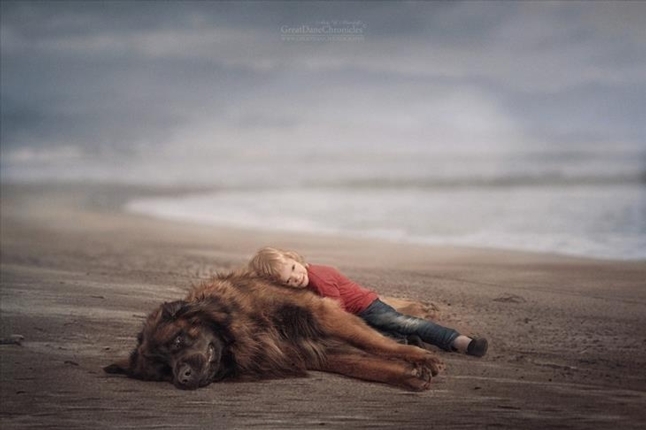 This photographer, Andy Seliverstoff, 58, from St Petersburg, Russia, is awesome! 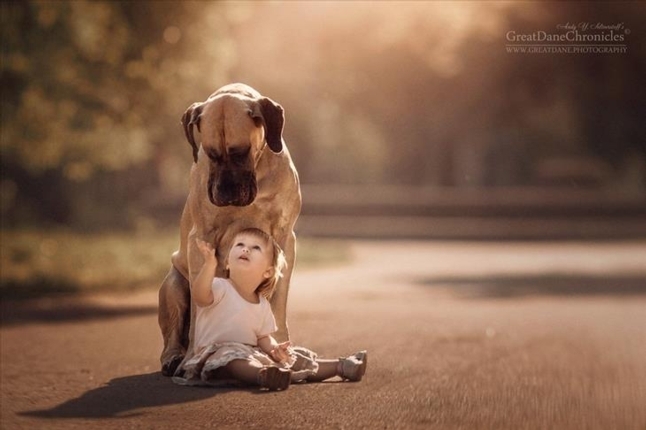 Photos of animals are my very favorite - especially when sweet little people are included. 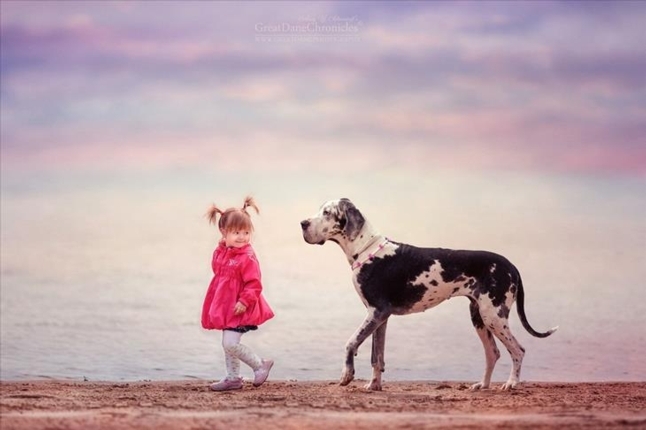 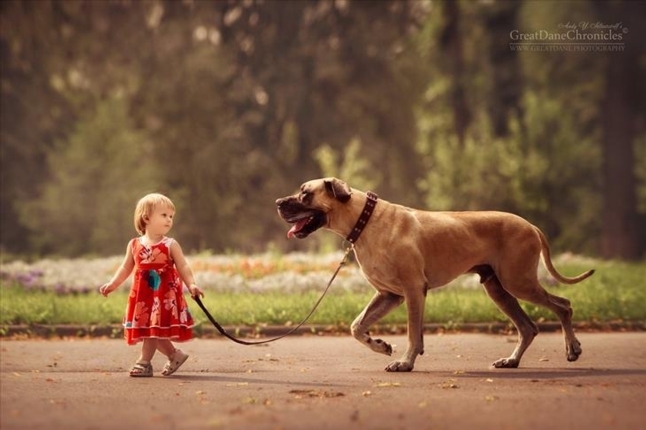 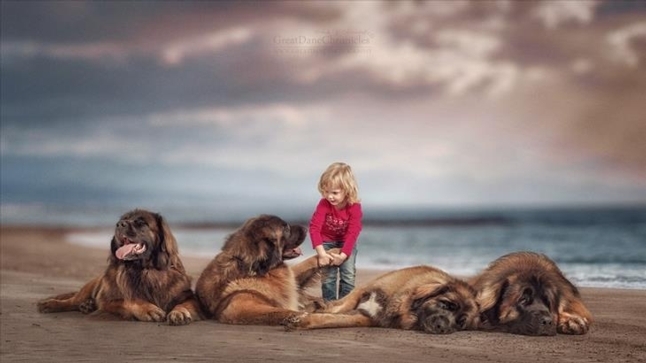 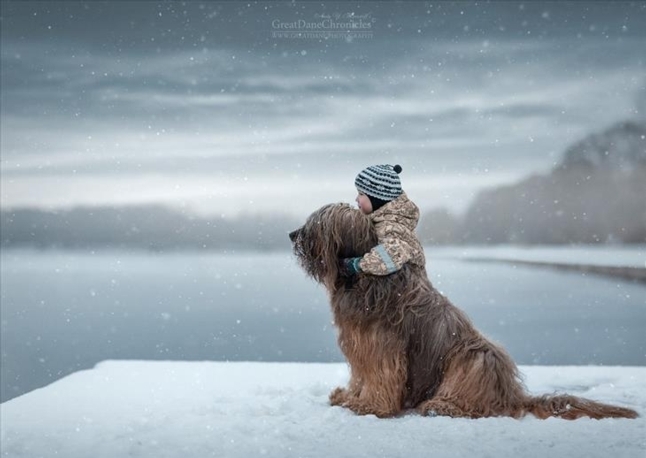 Andy conceived and pursued this charming series of images that celebrate the unique bond between small children and their friendly-giant pet dogs. 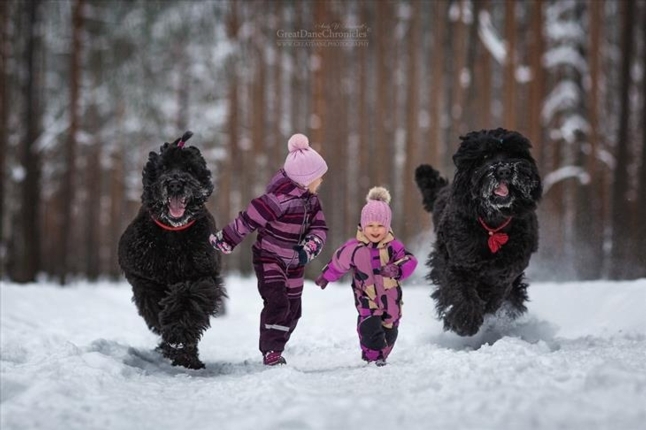 Over four months he took thousands of pictures in St Petersburg and then compiled his own book from his one hundred favorite images. 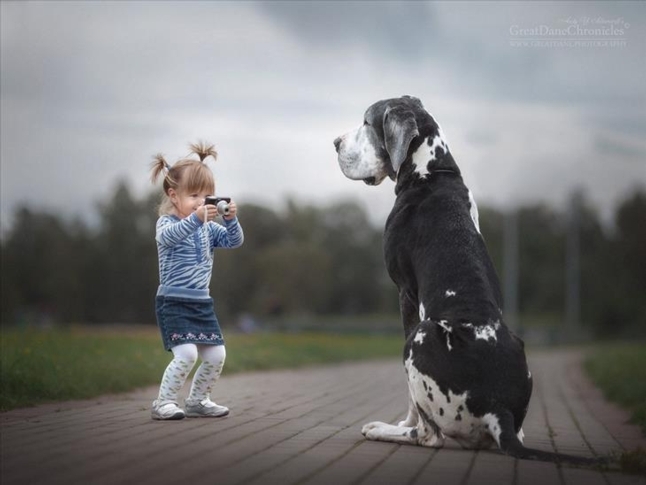 Even though Andy had been a photographer for many years, he only started to take it seriously as a profession very recently. 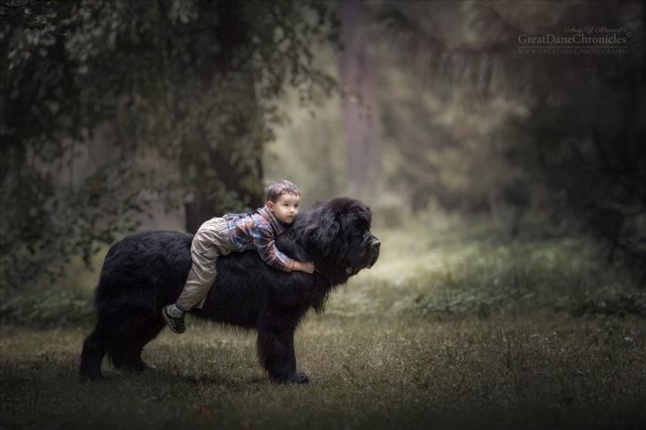 He's always loved dogs, especially Great Danes, but, in this series he also photographed Black Russian Terriers, Newfoundlands, and Briads. 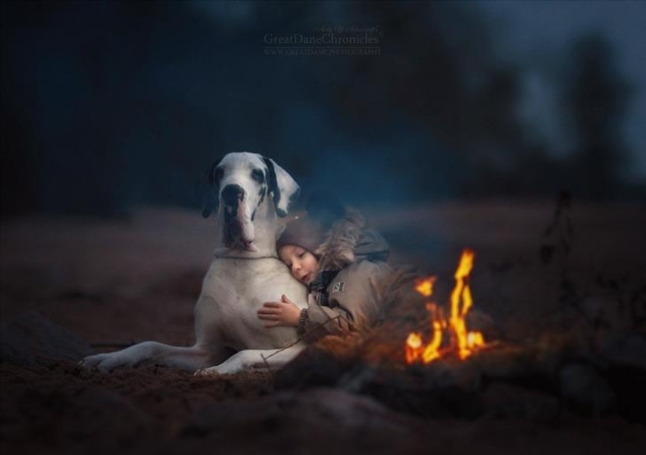 On his website he writes: "I always take plenty of time with the dog who's in front of my camera so I get to know the personality of my dog model the best I can." 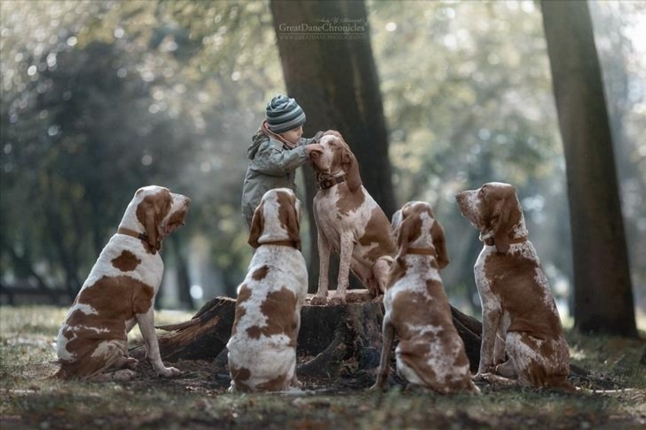 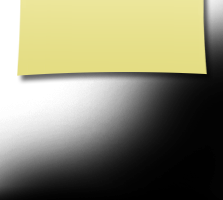 He affirms that the "personality and the character is unique for every individual dog." 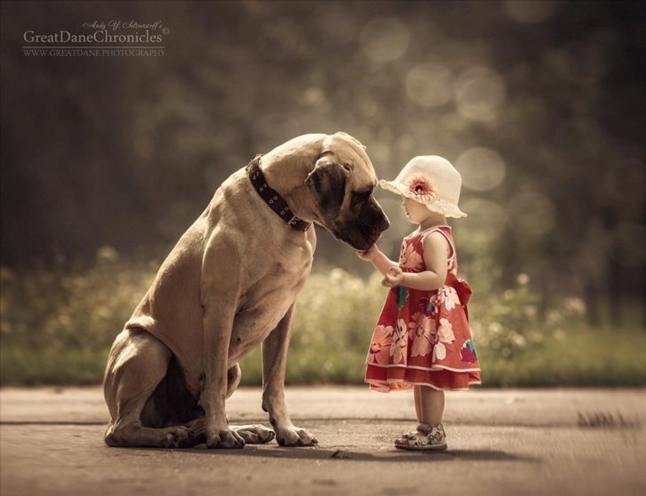 The human aspects we often recognize in our dogs are, among other things, what makes us feel so close to them. 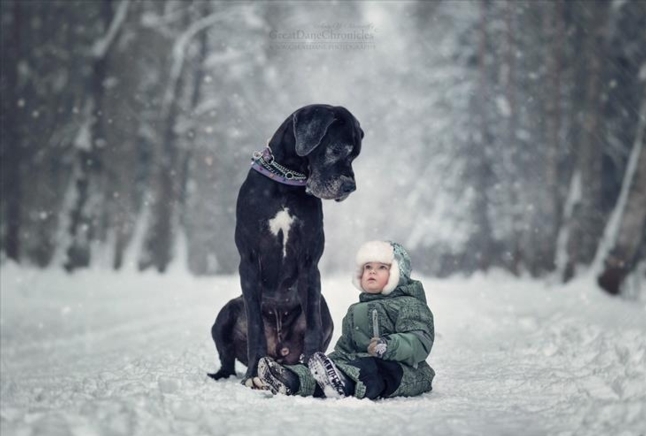 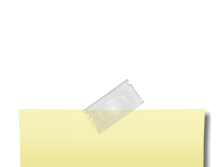 And it is this aspect I try to express in my photography." 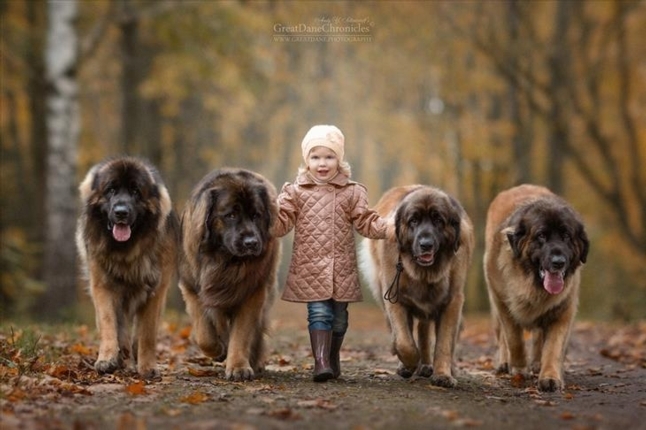 But for me, as much as I love dogs, it's the children that are the stars of this special series.